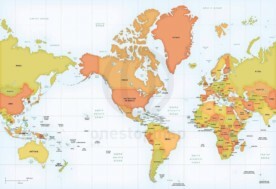 Highly detailed world map in Robinson projection, centered on the Americas. 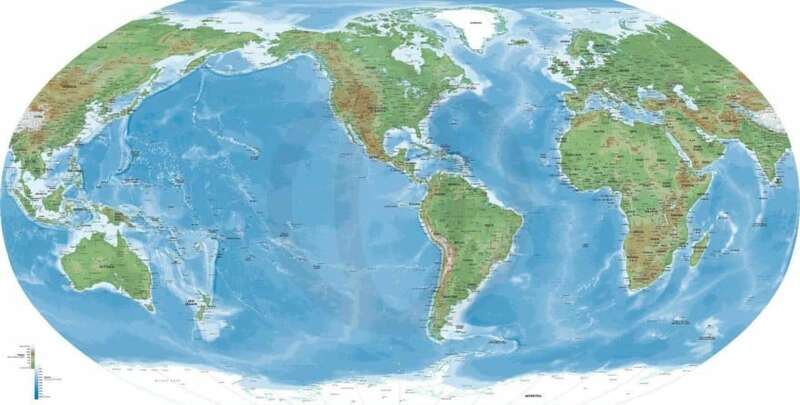 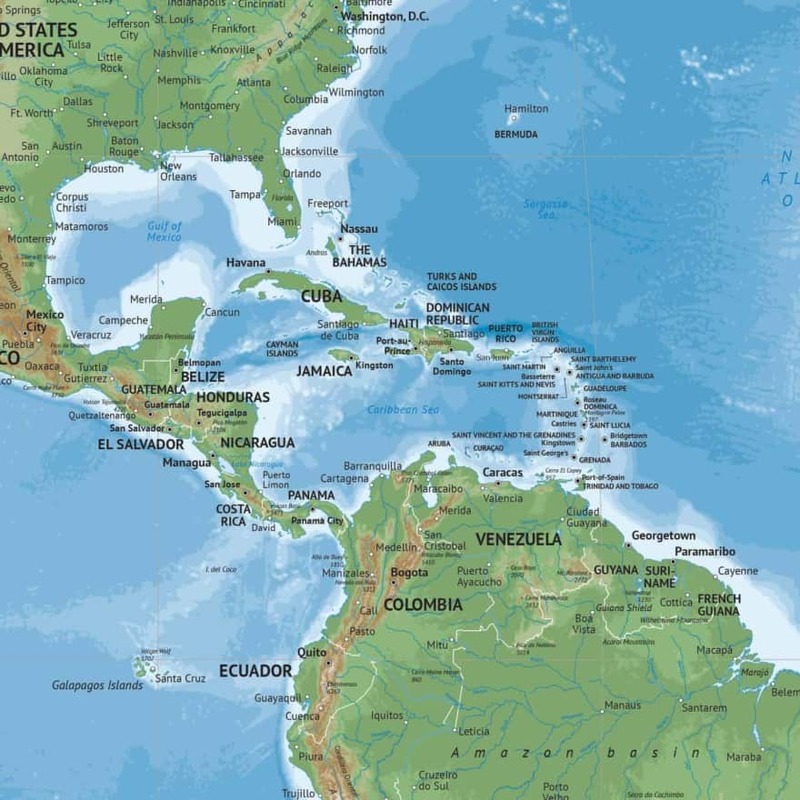 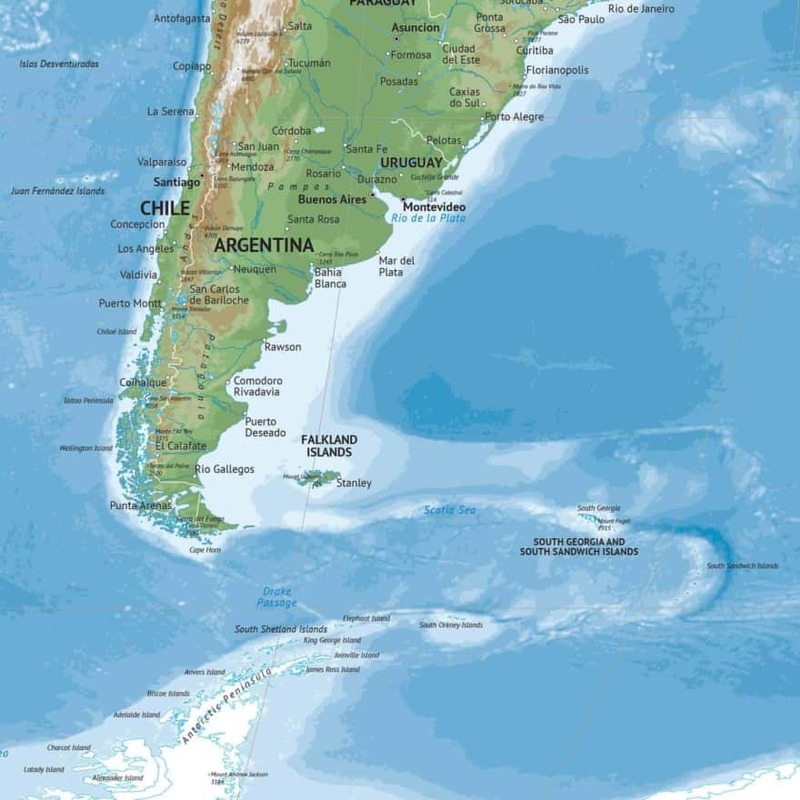 Highly detailed world map in a Robinson projection, centered on North and South America. 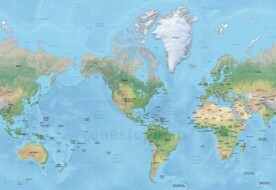 This map shows countries, capitals, cities, rivers, geographic lines, grid lines, lakes, bathymetry (ocean depths) and elevations all in vectors.